The FDA added eight non-digestible carbohydrates to the list of “beneficial” fibers on June 14, 2018, and, on March 28, 2019, the agency announced it will propose the addition of cross-linked phosphorylated RS4. cross-linked phosphorylated starch (resistant starch 4). Along with this, the agency issued a new Guidance for Industry document for food and supplement manufacturers outlining the decision-making process and allowing the use of these fibers when calculating the total amount of fiber per serving on a product label. The FDA comes to this decision after reviewing citizen petitions for each of the eight non-digestible carbohydrates and concluding that the carbohydrates meet the “beneficial” determination. The agency is currently evaluating other similar petitions. The FDA has said that until it completes rule-making regarding adding additional fibers to the regulatory definition of dietary fiber, it will exercise enforcement discretion. “Our expectation is that we will continue to evaluate additional dietary fibers on a rolling basis, and we expect that additional fibers may be recognized in the future,” said Scott Gottlieb, M.D., commissioner of the F.D.A. The addition of more fibers should make converting labels to the 2016 formats go more smoothly for manufacturers. Our developers are currently incorporating the additional fibers into the Genesis R&D programs and subscribers will be automatically updated when the process is complete. Not seeing Dietary Fiber on your 2016 label? This FAQ blog addresses why you might not see fiber on your label and how to fix it. 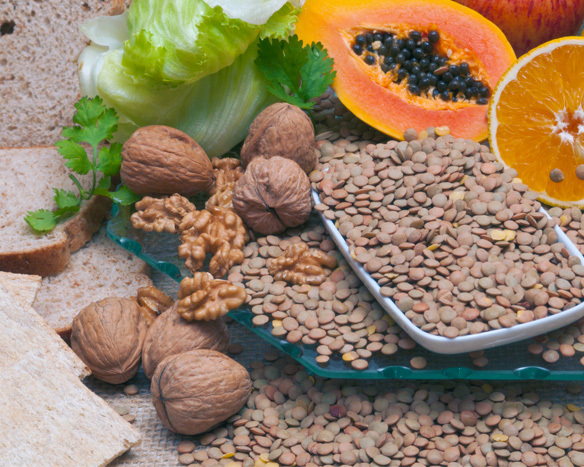 Download our Dietary Fiber cheat sheet here.